Bravado features dual Folded Motion® tweeters, a 5-inch aluminum cone woofer, and 200 Watts peak of total amplification. Bravado offers wireless streaming via DTS® Play-Fi® + "Works with Alexa" certification, Apple AirPlay® and enhances performance with Anthem Room Correction (ARC®). Think of a tune, then play it - instantly. Apple's AirPlay wirelessly streams high-quality lossless audio or MP3s from iPhone®, iPad® or iPod touch® straight to your soundbar. And from iTunes on a Mac or PC too. You control your music, wherever you are, via your device. It’s time to set your music free. Folded Motion Tweeters work by moving air (which creates sound) perpendicular to the folded ridges of the diaphragm, similar to how an accordion works. This extremely low mass diaphragm "squeezes" air and requires almost 90% less excursion than the typical 1" dome tweeter, which drastically minimizes distortion while providing a lightning fast response time. The increased surface area also provides a wide, yet controlled sound dispersion to create a realistic and carefully etched sound stage. Anthem Room Correction (ARC™) is the industry’s best user-controlled DSP room tuning innovation. ARC uses an exclusive Calibration Microphone and advanced DSP algorithms to quickly and easily optimize speaker performance in any space. In just a few easy steps the microphone measures sound output, compares it to scientifically optimal response curves, and instantly tunes your wireless speaker’s output for perfect sound. You’ll actually hear the difference Anthem Room Correction makes. And now with ARC Mobile, it's even easier to tune your speakers using an iOS device. 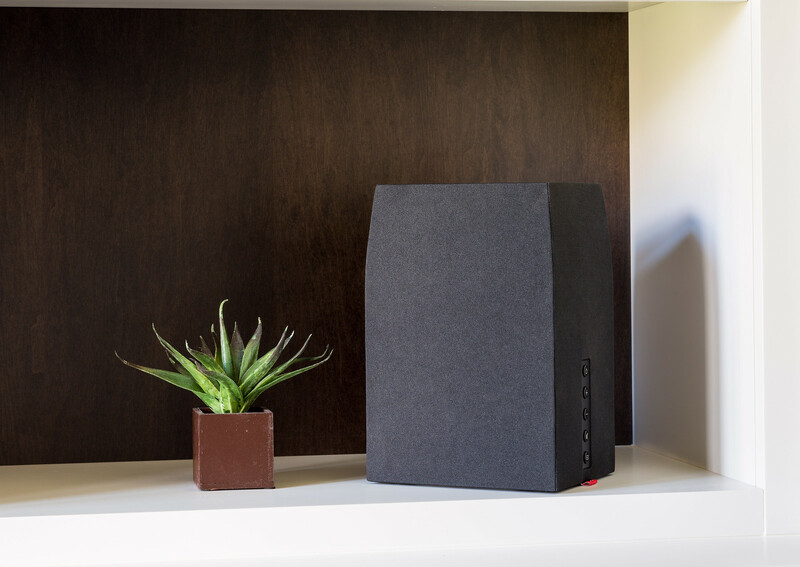 "Wireless speakers have come a long way from the early days of having to use noisy, interference-prone RF signals. Now, through your home Wi-Fi network, you can easily set up a speaker in any room and stream music to it -- all you need is a wall outlet. MartinLogan’s Bravado is a handsome, good-sounding example of just how far things have come. 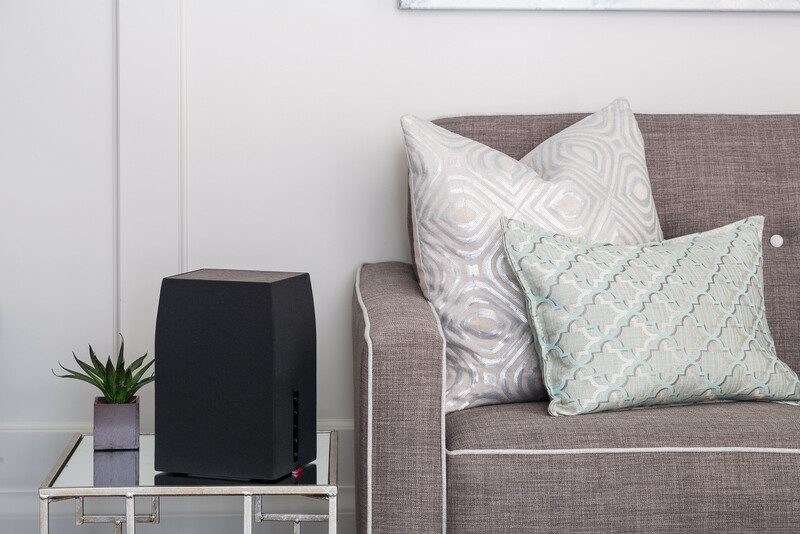 It’s a well-thought-out, compact marvel suitable for small rooms and ideal for casual listening -- and you can always add another Bravado, for a small, superb-sounding system that will allow you to wirelessly listen to music in true stereo." "Maybe this is just me, but typically the more time I spend listening to a given set of speakers, the more fault I'm able to find. I had the opposite experience with the Bravados. With each listening session, I noted a different strength." 5” (12.7cm) anodized aluminum cone with extended throw drive assembly. Non-resonant asymmetrical chamber format. Class-D Amp; 200W Peak (1 x 100W woofer, 2 x 50W tweeters). 10.12" x 5.6" x 6.8 "